Because of their natural beauty, flowers are very often depicted on photo wallpapers. 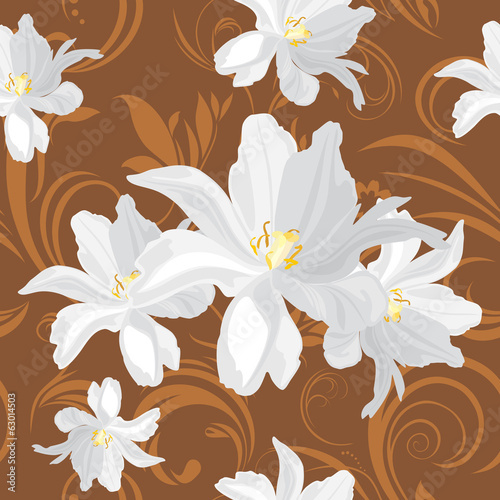 The white colour of lilies goes very well with the brown colour. Chocolate shades greatly contrast with bright shades, but don’t outshine their exceptionality. Thanks to that, the living room will become a special place.